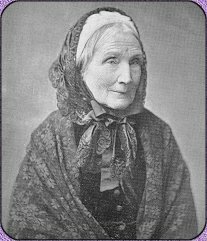 An English poetess who lived from 1799 to 1888, Mary Howitt shares with us some valuable wisdom regarding personal relationships in her famous poem The Spider and the Fly.
" 'Tis the prettiest little parlor that ever you did spy. And I have many pretty things to show when you are there." And if you like to rest awhile, I'll snugly tuck you in." They never, never wake again, who sleep upon your bed." I'm sure you're very welcome; will you please to take a slice?" I've heard what's in your pantry, and I do not wish to see." And bidding you good-morning now, I'll call another day." Your eyes are like the diamond bright, but mine are dull as lead." Within his little parlor, but she ne'er came out again!